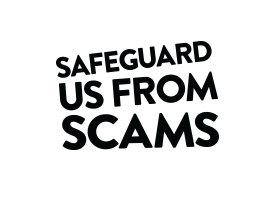 Find out what to do if you've fallen for a scam and have given a fraudster your bank details, including how to escalate your concerns to the Financial Ombudsman Service. Recent research published by Financial Fraud Action UK suggests that 58% of people have been affected by in the last year, resulting in losses of £23.9m. These are cold call scams which typically involve fraudsters deceiving people into believing they are speaking to a member of bank staff. Usually the criminal will convince an individual that they have been a victim of fraud, and will ask for personal and financial information in order to gain access to their account. This can include card details, four digit Pins and passwords. Another variation of the scam involves the fraudster persuading the individual to transfer money to other accounts or to hand over cash directly to a courier. However, a phone line can stay open for up to two minutes, so the fraudsters remain on line and play a dialling tone to trick their victim into thinking they're calling their bank when in fact they're still connected to the fraudsters. Find out more about how to spot a scam. These scam emails are from fraudsters who send convincing unsolicited emails that pretend to be from your bank or from a trusted establishment, such as the Financial Conduct Authority. Bank scam emails often say there's a problem with your account, and ask you to update your bank details, either by email or by clicking on a link. A recent survey of 980 Which? members revealed two thirds had a scam email delivered to their inbox, falsely claiming to be from a bank or social networking site. A further one in ten had reason to believe they'd received a scam communication, but weren't certain. Barclays topped the list of financial institutions being impersonated by fraudsters, with 36% of respondents having received a scam email claiming to be from them. Fake Lloyds TSB emails were sent to 35% of respondents, while 31% received false Santander emails and 30% received an email impersonating Halifax and HSBC, respectively. Postal scams typically offer something that sounds attractive but in reality doesn’t exist. There’s always a catch – you’ll have to pay upfront to receive what’s on offer. Three of the most common scams are for competitions, fake foreign lotteries and clairvoyants. Should you fall for one of these scams, there is a chance that you’ll be targeted again, as victims’ details are added to so-called ‘suckers lists’ which are then sold on to other fraudsters. Postal scams are estimated to account for 70% of all losses from scams. This could be even higher as many victims don’t believe that they’re being conned, or don’t want to admit it. Don’t be rushed into sending off money to someone you do not know, and always ask yourself how likely it is that you have been specially chosen for a particular offer. You should also change all your passwords as soon as possible. If you struggle to keep track of your passwords, you might benefit from using a password manager. Read our reviews on the best password managers to find the most suitable one for you. If you've given a fraudster your bank details, you must contact your bank immediately and explain that you're the victim of a fraud. Explain exactly what's happened and give your bank as much detail as possible. Your bank should act in your best interest and should refund your money. For more information, see our guide on reporting a scam and how to get your money back after a scam. If your bank can demonstrate that money was taken from your account due to you acting negligently, then it can refuse to refund your money. But, its up to your bank to prove that you have been negligent - it's not for you to prove that you haven't been. If your bank is disputing that you've been a victim of fraud, ask for your claim to be escalated through your bank's internal complaints process. If your bank's decision is final, then ask to be issued with a final letter of deadlock so that you can refer your claim to the Financial Ombudsman Service (FOS). You can use our template letter of deadlock request before going to the ombudsman. If you’re not happy with the way your bank has dealt with your complaint, you can refer the matter to the Financial Ombudsman Service. The FOS is free to use and has a form where you can complete and submit a claim online. Claim forms can be downloaded or you can call 0300 123 9123. Explain and document your complaint fully saying how you'd like the issue to be resolved. The FOS will consider all the circumstances and may ask you to supply additional information to help it make a decision. Once it has considered the claim, the FOS will make a decision. The decision is binding on the bank but not the consumer so you're free to take your claim to court if you're not satisfied with the outcome.